“I would like to announce my intention to propose to the IMF’s Executive Board the approval in principle (AIP) of a new IMF Stand-By Arrangement for Greece. “We have recently seen significant progress by the Greek government on policy reforms, with a staff-level agreement followed by supportive legislation from the Greek Parliament. We have also seen progress on debt relief, although further discussions are needed on the scope and type of measures to be provided by Greece’s European creditors. “AIP is a procedure which the IMF has relied upon in the past where there has been agreement on the policies that would underlie an IMF-supported program, but where full agreement between the member and its creditors has not yet been reached on new financing or debt relief. In the case of Greece, AIP would allow the IMF to be supportive of the progress made on policies, while release of resources under the IMF arrangement would be conditional upon Greece’s European creditors providing commitments for debt relief sufficient to secure debt sustainability. “It is also important to note that AIP supports the IMF’s long-held principle that any new program with Greece should be predicated on the “two legs” of policy reforms combined with debt relief. With AIP, the release of IMF funds would be contingent on policy implementation and receipt of debt relief assurances so that debt can be deemed sustainable. Furthermore, assessment of debt sustainability would be guided solely by the IMF’s own debt sustainability analysis. It is expected that AIP would involve a precautionary Stand-By Arrangement for a loan amount well below the IMF’s exceptional access threshold. 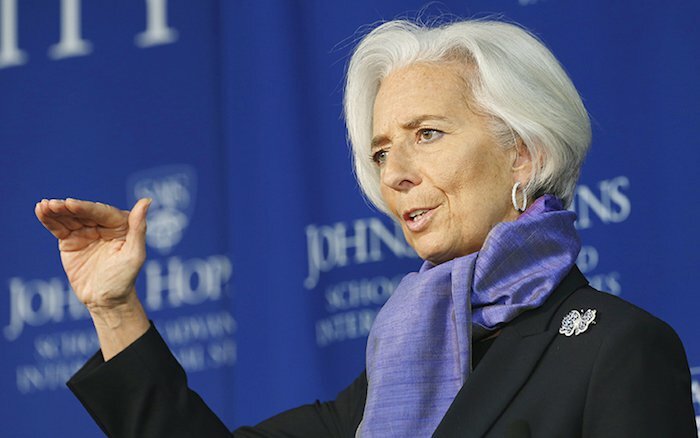 The IMF’s Executive Board will need to determine the specific modalities of AIP.